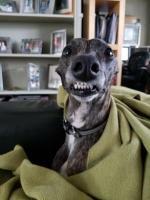 I am looking for a whippet in need of a very caring and loving home. My grandparents, parents, brother and I have all had whippets. I had to put my almost 14 year old whippet last December. Now it’s time to get another one. I am in Dallas. Join in and write your own page! It's easy to do. How? Simply click here to return to Bulletin Board.